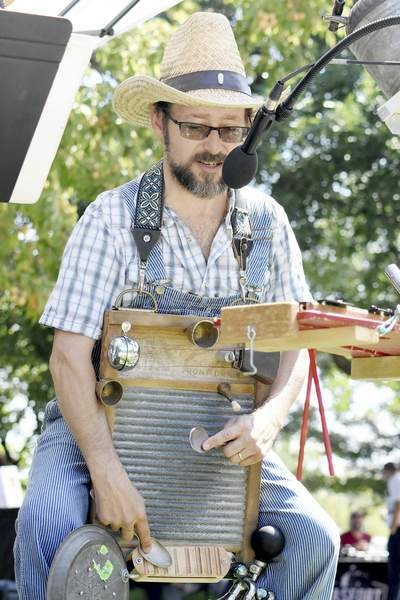 Rachel Von | The Journal Gazette The Jug Huffers' Jeff Burdek sings and plays the washboard during the band's performance Thursday at Lunch on the Square at Freimann Square. The weekly program, featuring food trucks, live performances and games, concludes for the season next Thursday. The Kitchen Table Players are the scheduled performers.